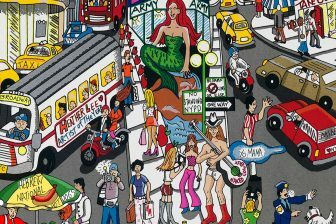 Charles Fazzino has painted Moscow for the first time and will be releasing a new 3D pop art limited edition based on that image in September of 2013. 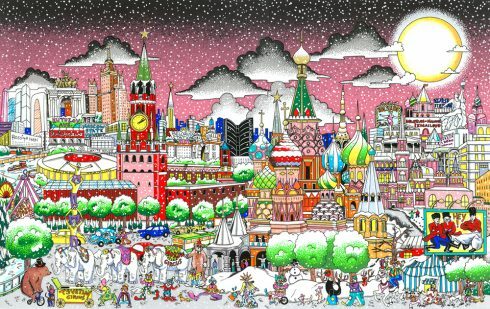 Most famous for painting cityscape art from all over the world, Fazzino has never before tackled one of the world’s largest and most famous cities in Moscow. 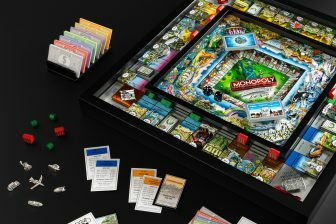 Fazzino employed a radical color palette to render this exotic locale. The sky, in particular, is a vast departure for Fazzino. It fades from black to pink and is dotted with delicate but dense snowflakes. 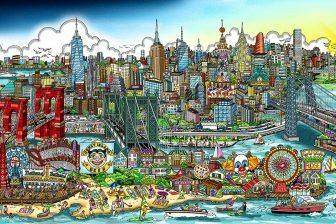 The composition is vintage Fazzino, thoroughly capturing the essence of the city’s rich history and culture.